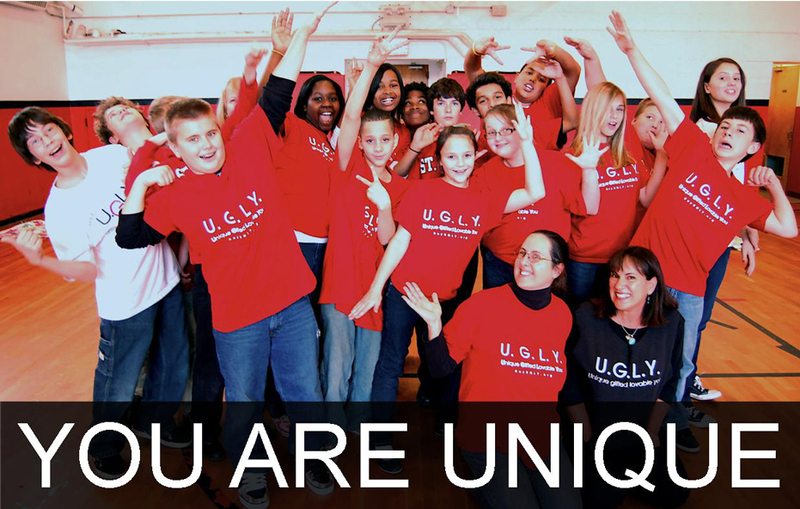 You are unique – Hey U.G.L.Y. If you’ve ever watched any of the many crime / forensic television shows, you have seen DNA used to determine who did the crime. The fact that each of us have our very own DNA – DNA that nobody else has, fingerprints that nobody else has, tells us that each of us in UNIQUE. Add to that all the various ways that each of us has different points of view, ideas, talents and unique ways of relating to others and we can take great joy in knowing we are — special. YES!!! We are all special and have a SPECIAL purpose. To find your purpose pay close attention to what your passion is … the thing/s that bring you joy. Then follow that passion. All successful people will tell you that they followed what gave them joy. Unique is the first word in our name, Hey U.G.L.Y. UNIQUE GIFTED LOVABLE YOU is a celebration your individuality. Don’t let anyone tell you, or make you feel like you are not good enough. You are more than good enough, you are here to do something amazing. Click here for some cool self-esteem tips. Tell us something amazing you have done, or that you plan to do, with your unique life. We’ll post it here! Just email PreventBullyingNow@heyugly.org your wisdom.